chan is using Smore newsletters to spread the word online. Annexation Of Texas Back Then!!! The Pros of annexing Texas in a Texans view point. 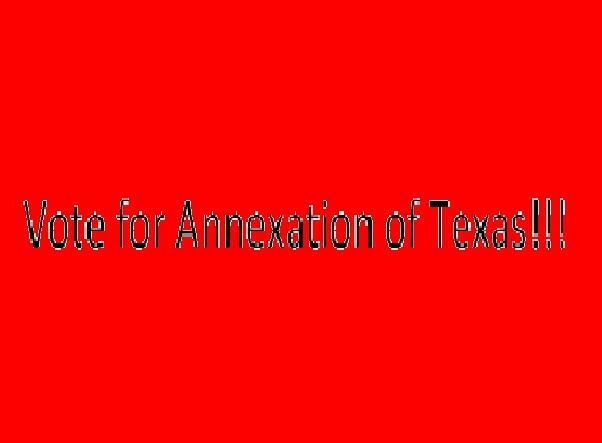 Why You should vote for annexation of Texas. Do you like being in a big debt with the U.S.
Should you vote for Texas to join the U.S. Say yes! If your a Texan and you are tired of being in debt or if you want more military protection, is why you should vote yes. We promise that we will allow you to keep your land after anexation into the U.S.